Brunello needs no introduction for the oenophiles. Quintessential, coveted Italian wines, coming from the heart of Tuscany, made from the signature Italian grape Sangiovese (Sangiovese Grosso clone, to be precise). Brunello di Montalcino was the first area in Italy which received in 1980 the status of DOCG (Denominazione di Origine Controllata e Garantita), top quality level designation for the Italian wines; Brunello are some of the most expensive wines coming from Italy today, with some of the bottle prices exceeding $500 on the release (Biondi Santi, Soldera). Wines had been produced in Montalcino for a very long time, going back to the middle ages – it is said that King Charlemagne frequented hills and taverns of the beautiful region – however, back then Montalcino was known for its white wine, called Moscadello. In the 1600s, the red Brunello started to take over the Moscadello, and today, most of the people don’t even know that the white wines are produced in the Montalcino region, as it is the powerful reds we all associate Montalcino with. Podere Brizio is a relatively young estate in Montalcino, founded in 1996. The estate has about 30 acres of vineyards, practices sustainable viticulture and in the process of becoming certified organic. The grapes are harvested by hand, natural yeasts are used in the winemaking process. Folks at Podere Brizio love the Montalcino history so much that they put “10 Parpagliola coin, coined in 1556 as a symbol of the Republic of Siena in a year in which about 600 noble Sienese families took refuge in the fortress of our town in order to keep the Sienese Republic alive” on the labels of their wines. Podere Brizio produces about 50,000 bottles annually, with the whole production consisting of 3 red wines – Rosso di Montalcino, Brunello di Montalcino and Brunello di Montalcino Riserva. Now, let’s talk about the dinner, which took place at the restaurant called Vespa in Westport, Connecticut. Not only Vespa offers delicious Italian and Mediterranean food, but the restaurant boasts a wine list which has a lot of unique and interesting wines – when was the last time you saw Erbaluce from Piedmont, Cinque Terre Bianco from Liguria, Frappato from Sicily or a “wine geek special”, Rosso del Contadina from Frank Cornelissen, Sicilian maestro of natural wines? Owner Bobby Werhane has special affinity for the uncommon wines and not afraid to put them on the wine list, which of course makes Vespa a perfect food and wine destination for any foodie and wine aficionado alike – and Vintage Vespa is the series of the wine dinners which serves as a testament to that. We tasted through 4 different wines from Podere Brizio – 2013 Rosso, and Brunello from 2010, 2007 and 2001 vintages, so in essence, this was a vertical tasting. There was one small challenge – the wines were not sufficiently decanted prior to the tasting. Brunello typically are big wines, and they need an ample time in the decanter, or they will not show all its beauty – as you will see from my tasting notes below, this is what happened. Our dinner consisted of 4 courses. We started with Chicken Liver Pate (Red Onion Mostarda, Toasted Brioche) which had great texture and was absolutely delicious. To my surprise, 2013 Podere Brizio Rosso di Montalcino worked very well with the dish, contrasting the sweet nuances with its tart acidity. Our second course was Ricotta Cavatelli (Braised Pork Shoulder, Tuscan Kale, Golden Raisins, Toasted Pine Nuts) – again, outstanding, touch of heat and great flavor, hearty and heartwarming (sorry, 2010 was too tight for that, so no pairing notes). Our main course was Prosciutto Wrapped Veal Tenderloin (Pickeld Sautéed Carrots, Almond Purée) – my notes mostly consist of the exclamation points – wow! flavor! presentation!, so yes, the dish was a treat for the eyes and taste buds alike. After decanting, 2007 Brunello was an excellent complement to this dish, and 2001 Brunello worked very well too. The desert was outstanding – Coffee Crunch Profiteroles (Mascarpone Cream, Cappuccino Gelato) – imagine a marriage of a classic Profiterole with classic Tiramisu – yep, that was good. And no, we didn’t try to pair the dessert with the wine, we just enjoyed it by itself. All in all, this was one delicious dinner we have to thank the Executive Chef David White for. V: the wine was not decanted initially – and this is way too young, needed lots of time in the decanter. No rating. P: Plums, nice tannins, good acidity. V: 8/8+, just started to open, will shine in 5-10 years. There you have it, my friends. Delicious food + Great wines = Vintage Vespa. Make sure to keep an eye on Vespa (probably their Facebook page is the easiest) so you will not miss the next wine dinner. Or better yet – head over to the restaurant and just make your own wine dinner – I’m sure you will not be disappointed. Cheers! Virtual tastings are always fun. For sure for the conversation and learning part. And of course the best part is while your conversation is virtual, tasting of the real wines. As always with wines, you like some, and some you don’t (OMG, I let the cat out of the bag!!!). And sometimes you are simply blown away. The tasting of wines of Marchesi de’ Frescobaldi was the latter. As a young oenophile, I heard about the wines of Machesi de’ Frescobaldi, a 700 years old winemaking family, for the first time in the early 2000, when I read an article in Wine Spectator, profiling Italy’s “big three” – Antinori, Banfi and Frescobaldi. However, until a few days ago, I wouldn’t claim that I had any real encounter with Frescobaldi wines. I guess there was a certain element of luck that my acquaintance with Frescobaldi wines started from their single vineyard, or so called “CRU” wines. Nevertheless, to be literally blown away by 4 wines out of 4 in the tasting is not something which happens often. I had plenty of single vineyard and high-end wines which left me simply indifferent. These 4 wines of Marchesi de’ Frescobaldi had me say “wow” every single time I had a sip. P: delicious. Golden Delicious apple, touch of vanilla, touch of lemon, crisp acidity on the finish, perfectly lingering. Interesting wine notes: Chardonnay was planted by Frescobaldi in 1855. In 1878, Pomino was awarded Gold medal at Paris Exposition. Benefizio was produced in 1973 from the vineyard with elevation 700 meters (2,200 feet), and it was the first barrel-fermented wine in Italy. P: spectacular. Firm, structured, black currant, chewy tannins, soft and powerful at the same time. Medium-long finish. Interesting wine notes: The vineyard of Mormoreto started in 1976 (while Cabernet Sauvignon, Cabernet Franc, Petite Verdot and Merlot had been growing there for 150 years), with the first harvest in 1983. The name “Mormoreto” means “murmur” in Italian – the constant breeze from the valley makes vine leaves to move all the time, creating soft and gentle “murmur” sound. 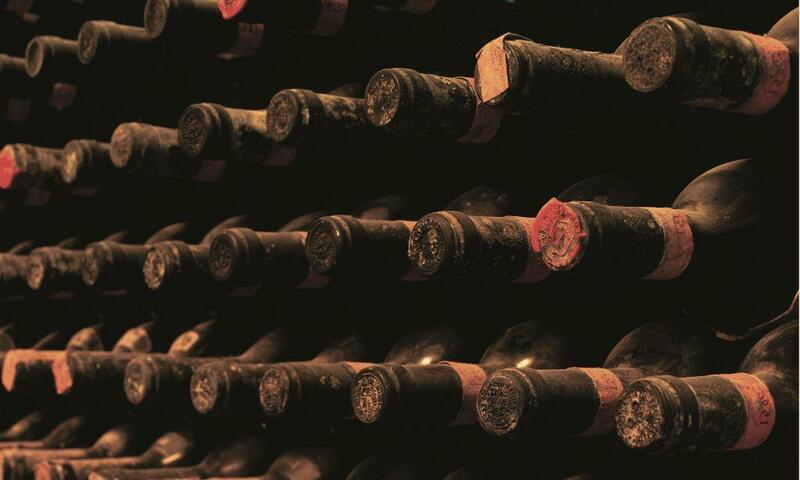 The wine is only produced in most favorable years. V: 8+/9-. A wine in its own class. A clear nod to Italian heritage, weaved into a very modern, I-am-the-best, work of art. V: 8+, delicious. One of the very best Brunello wines I ever had, period. Four wines, one delicious tasting. Yes, these are not inexpensive wines, and for many people these can’t be everyday wines. However, any of these 4 wines are truly worth experiencing, so if you pride yourself with being an oenophile, put these wines on your “must try” list. Okay, you can thank me later. Cheers! Many thanks to the kind folks at Colangelo PR for including me in the tasting and providing samples. This is not a quiz post, however – let me start with the question: what do you think of Brunello di Montalcino, the noble wine made out of the Sangiovese? Well, technically it is Sangiovese, but in practicality Brunello di Montalcino is made out of the grape called Sangiovese Grosso, sometimes simply called Brunello. When people need to provide an example of the best Italian wines, the triple-B, Barolo, Barbaresco and Brunello, are the very first names which cross oenophile’s mind, so this is the Brunello we are talking about here. 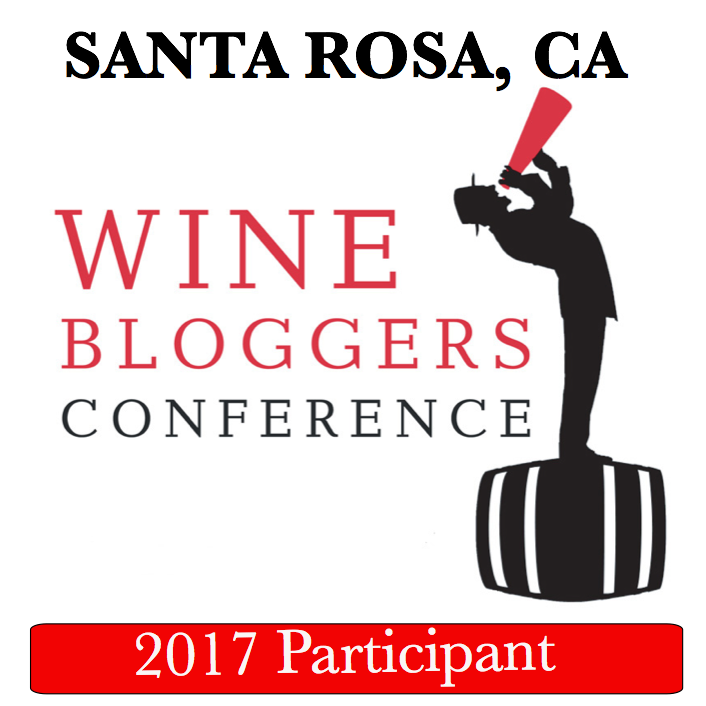 So, what is your experience with Brunello? To carry the denomination of Brunello di Montalcino DOC or DOCG, the wines must be made from 100% Sangiovese Grosso grapes, and age at least 2 years in oak casks, and then at least 4 month in the bottle (at least 6 month for Riserva designation), but many producers age it for a lot longer. First time Brunello wines can appear on the store shelves is 5 years after the vintage date. 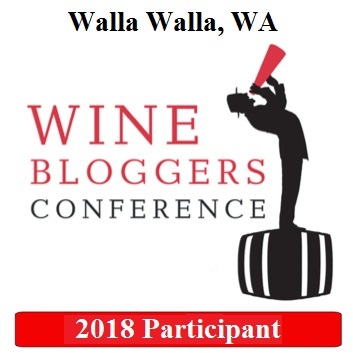 There are tons of books and web sites with countless pieces of information about the region, the history of the wines, the food, the people – I’m not going to simply repeat all of that. However, I can’t resist to share this magnificent picture of the Montalcino, as it was shared by the Brunello Consortium – I generally only use my own pictures in the blog, but this is soooo beautiful! According to the representative of the consortium, 2009 was a “4 star year” as opposed to the 5-star, such as 2007 or 2001 (or upcoming 2010). In 2009, growing season had rainy spring, but good hot and sunny September, which helped with overall quality. 2009 Brunello supposed to be more approachable at the younger age (my note: some were, and some were very far from being approachable). There are 90 clones of Sangiovese used in the production of Brunello di Montalcino. Montalcino is a large region, so different areas of Montalcino region produce different wines, due to vastly different soils and climate conditions (what is Italian for Terroir?) Unfortunately, those different areas are not indicated in any way on the label – you actually have to know the location of the vineyards for each respective producer to know what to expect. The special guide produced for the show had very helpful tiny maps showing the approximate location of each and every winery represented in the guide. The use of oak (type, duration, etc) is changed from vintage to vintage. I actually think that while deemed approachable, 2009 still needs time. Few of the 2004, 2005 and 2006 Brunellos which snuck into the tasting, showed up just magnificently. The 2012 vintage of Rosso di Montalcino, a simpler, typically less oaked wine, also made out of Sangiovese Grosso, is showing up in the stores. This wines should be ready to drink now (but many will age well too, depends on the winemaking style). Based on the tasting, I much preferred 2011 Rosso di Montalcino over the 2012 – don’t want to think too hard about the reason, but if you are looking for delicious bottle of a good Italian wine to drink now, 2011 Rosso di Montalcino might be “it”. Don’t know if this is a trend (and definitely don’t want to be spotting any trends), but in this tasting, there were surprisingly large number of corked bottles. I had to call out at least two bottles, and with another three I ate my words, only mumbling “aha, this is good”. I do attend trade tastings regularly, and this is not normal. I rarely drink Brunello, so if anyone who is reading this actually drinks a lot of Montalcino wines, I’m curious to know your opinion. Bottom line here – trust your palate. If you think the wine is corked, most likely it actually is! Palate: Austere, just powerful tannins, some good background acidity. Way too tannic to be appreciated at the moment. Nose: Spectacular, intense, with a lot of bright fruit. Palate: Cherries and lots of bright fruit, has a lot going on. Still needs time, but very enjoyable already. Palate: Cherries and then tannins and only tannins on the palate. The tannins feel over-extracted – this wine might never open. Nose: The fruitiest nose of all. Cherries and blueberries. Palate: Cherries and tannins. Tannins overly intense in front of the mouth, and somewhat uni-dimensional. Nose: Nice and balanced, with the hint of cinnamon and coffee. Palate: Nice, open, with bright cherries and more manageable, but still aggressive tannins. Can be enjoyed now, but still needs more time. Nose: Very promising, elegant, with cherries and raspberries. Palate: Beautiful, lots of fruit, ripe cherries, present but not overpowering tannins. Best of tasting. Palate: nice fruit, sour (very sour) cherries, pepper in the back is a bit out of place. Aggressive tannins. 2011 Caparzo Rosso di Montalcino DOC – one of the most unusual. Intense strawberries on the palate. 2008 Podere Le Ripi Bonsai Rosso di Montalcino DOC – wow! 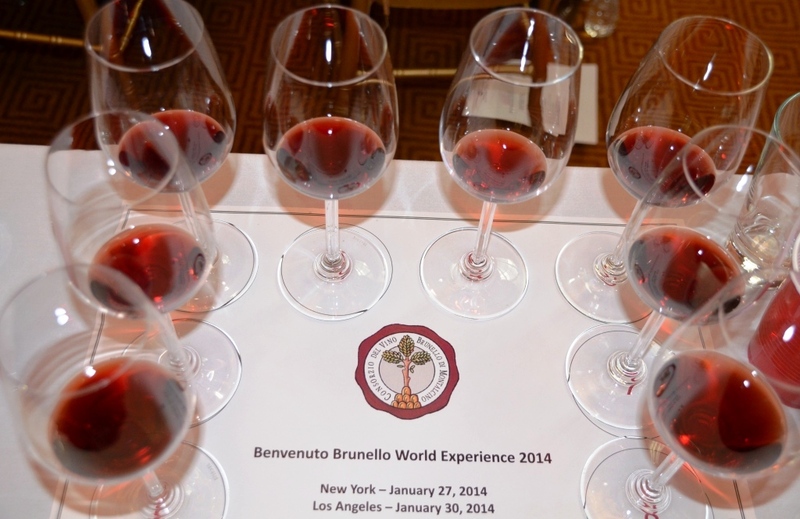 This was a great experience, and I’m already looking forward to welcoming Brunello 2010. I have a sneaky suspicion it will be pretty tasty… Cheers!